Find the perfect option to fit your home loan needs. With consistent payments and low interest rates throughout the life on the loan, the dependable Fixed Rate Loan is one of our most popular options. Our HARP loan is the perfect solution for borrowers who are “underwater” or owe more on their home than it’s worth. Qualifying for a FHA Loan is typically easier. If you don’t have a lot of cash for a down payment, don’t have much equity in your current home, or your credit isn’t perfect, you can still take advantage of this loan option. Fixed rate and adjustable rates are available. You won’t believe how quick and painless it is to save money. But it’s true, ask one of the thousands of families who we’ve helped lower their mortgage payment. Our VA Loan makes homeownership easy for Veterans. A USDA Loan (or, Rural Development Loan) allows you to purchase a home in USDA designated areas with flexible qualification requirements and a low down payment. Borrow more with a Jumbo Loan from Hillcrest Bank. A Jumbo Loan provides financing for loan amounts higher than conforming loan limits. If you have a high property value, you should consider our Jumbo Loan product. Whether buying a home or refinancing your current mortgage, our ARM is perfect for the buyer who prefers a lower interest rate and monthly payment during the initial time period. Talk with your Mortgage Banker for more details on the various bond programs that we offer. Find a Mortgage Banker, today, by location or by last name. Our HELOC options gives homeowners peace of mind. If you use our HELOC, you will have cash available to you when and if you need it. Don’t worry, we’ve got you covered. Learn more about our Home Equity Loans and Lines of Credit. If you’re a homeowner and need cash fast, you would be an excellent candidate for our Second Mortgage Loan. This gives you relief by providing you with one lump payment from the equity in your home. Haven’t started working with a banker yet? What really sets us apart? The way we do business. So, check out our process and find out why we’re where common sense lives. 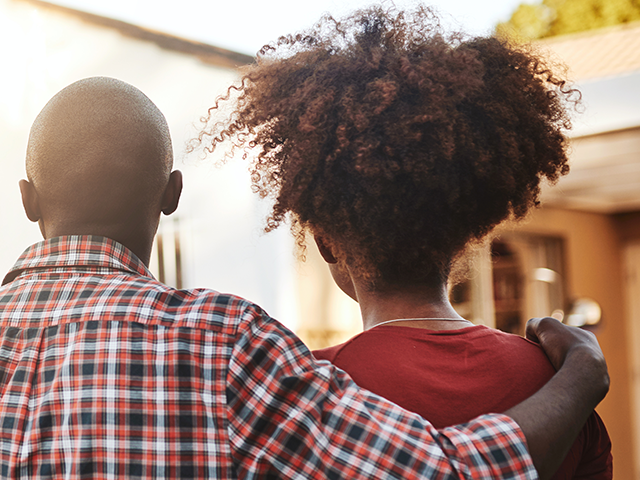 Our Mortgage Bankers have the knowledge and expertise to help you on your journey to homeownership, check out their tips! If you’re ready to talk with one of our Mortgage Bankers, just fill out this simple form and one will get back with you soon. Our process. Our Mortgage Bankers work with you to determine the best loan for your financial goals. Check out what make us different. Great experience. Friendly, helpful, knowledgeable associates. Efficient painless process.